Rock beds, plantings surrounding building and parking lot. Berm featuring boulders, trees, and shrubs. Background: Tree plantings in parking lot islands. Rock beds and plantings surrounding building and parking lot. Courtyard at night featuring rock beds, concrete edging, plantings, and water feature. Construction of a large retaining wall. Rock bed with plantings. Rock work designed to optimize drainage. Rock bed with plantings surrounding building. Rock bed with boulders and shrubs surrounding building. 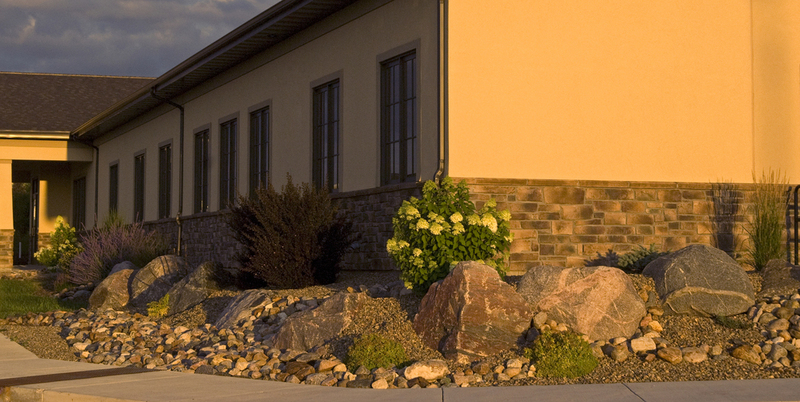 Rock beds with boulders and plantings surrounding building and parking lot. Rock bed with boulders, grasses, trees, shrubs, and concrete edging. 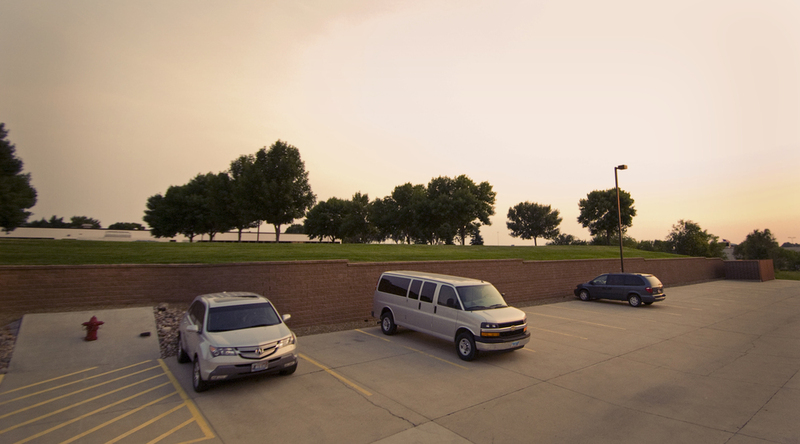 Retaining wall that curves along edge of parking lot. Rock beds with grasses and plantings. Parking lot island, rock and mulch beds with plantings. Retaining wall and rock beds with plantings curving with the side of an apartment building. 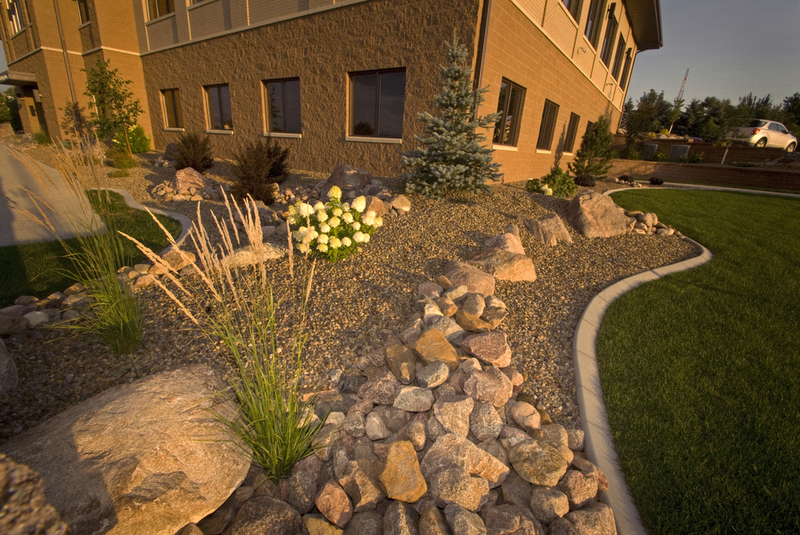 Prairie View Landscaping has completed over 100 commercial projects in Bismarck-Mandan & surrounding areas. We can bid on your landscaping plan as designed by a landscape architect, or we can create a landscaping plan for you!